Did you recently start a mom blog? How exciting mamas! When I first started Twins Mommy, I was bubbling with excitement. I wanted to connect with other mommy bloggers and try my hand at growing my blog traffic and income! But, how do you make money with your blog? A simple and fun way is by doing Amazon affiliate marketing. You can make your first affiliate sale in your first month by doing this! I’m going to be honest mamas – your first sale may not be a lot, but that’s okay! Imagine your mom blog making money! How cool is that? So, I thought for today I will walk you through how to get started with Amazon affiliate marketing. Oh, and if you don’t have time to read this post, just watch my YouTube video and make sure to subscribe to my YouTube channel! You might notice on Pinterest a lot of affiliate programs bloggers are using. Many online businesses and even brick & mortar type of businesses offer an affiliate program. This is a free way for THEM to market THEIR products. And it’s a great and FREE way for you to make money. If someone clicks on your link and purchases a product, you get a kickback or commission. This is a percent of the total sale. Each affiliate program has a different commission. That’s it in a nutshell mamas! Want to start your own mom blog that makes money? Check out my free course to help you start a blog! There are three easy ways I use to find affiliate programs. For example, many of us shop at Target! Go to Google and type in affiliate program Target. They do! Just click on the link and read their terms on how to get started. You can also search to see if digital products have an affiliate program. These are courses you’ve taken, eBooks you’ve read or printables you’ve bought. For example, I offer an affiliate program for my courses! Gift guides are a great way to promote your affiliate products. Just go on Pinterest and search gift guides and click on a pin. From there you can see their post, and click on their links and discover what products they are promoting. For example, I found out that J.Crew has an affiliate program after checking out a blog’s gift guide. Amazon is the biggest online store, and they have thousands of products for sale. This is great for any blogger in any niche (tech, travel, parenting, blogging, craft, etc..). I am using Amazon affiliate marketing for my other blog, Smart Mom Ideas and I’m currently making consistent and daily sales – this is a good thing! While this guide walks you through how to get started with Amazon affiliate marketing, try these ways to find even more programs to sign up to. Each affiliate program has a different cookie. This means the time from when someone clicks on your link to the time they need to purchase something for you to get that commission. For Amazon, they have a 24-hour cookie. While this is super short, the neat thing about using Amazon to market is that the person doesn’t have to buy what you are promoting on your blog. 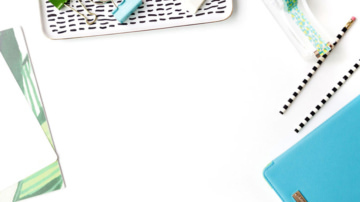 For example, if you write a blog post on your bullet journal, and a person clicks on your link and buys a hair bush (within 24 hours) – you still get a sale! You also want to pay attention to if the affiliate program uses the “first click/cookie” gets the sale or the “last click/cookie” gets the sale. In the “first cookie” case, you are rewarded for being the first affiliate person to refer a potential sale. For example, say you are an affiliate for a baby wipe. You create a post with that special affiliate link. A reader clicks on that link but doesn’t buy. However, your affiliate cookie is still set in that user’s browser. So, if they come back to the merchant’s site to buy in the future – even if they read other baby wipe posts and clicked on those links – you’ll still receive credit. This isn’t the best option for YOU because you can do all that you can to promote and convince your readers to buy from you, but if they are already cookied by someone else, you won’t get that commission even if you were the one that converted them to buy. It’s better to have the “last cookie” option – like Amazon does. This means all your hard work will be rewarded because the affiliate who actually convinces the visitor to buy gets the commissions as it should be. The only time “first cookie” is good is if there is some big launch coming up and you get advanced notice and can email your list first or promote it first before all your competitors. But, as a new mom blogger, you don’t have to worry about that if you start using Amazon affiliate marketing! You can’t use a “pretty” link in place of their special affiliate link. There are WordPress plugins that turn a link with a whole bunch of gobbly gook numbers and letters into a pretty easy-to-read link. Amazon doesn’t allow that. You have to use the link they provide. You can’t use Amazon images on your pin graphics or any social media graphics. The images can be used in your blog post, however. These images are HTML set, and these images aren’t the property of Amazon (it’s the merchants that promote on their platform). While some bloggers take a screenshot of the Amazon product to place on their pin, this isn’t allowed, and Amazon can close your account if they find out. Now that you have your affiliate links, you can start creating content to market those products and/or services. But, your blog has to comply with promoting products. I’ve been playing around with how I promote my affiliate links over on Smart Mom Ideas. There are many different ways you share a product on your blog. The first is by doing a whole post about a product. I did this on Twins Mommy for my bullet journal. These types of posts – that break down a product and shows how to use it and its features – converts better than other types of blog posts. Another blog post that converts well is round up posts. I do these types of roundup on Smart Mom Ideas all the time. For example, I rounded up the best nursing covers for first time breastfeeding moms. In that post, I share with you the best nursing covers! You might be thinking – but Elna, aren’t we suppose to be using these products first? Yes and no! Of course, the best conversions are ones that you can SHOW you used these products. If you have pictures of you using the product, this can help you convert better. I do that on both blogs. 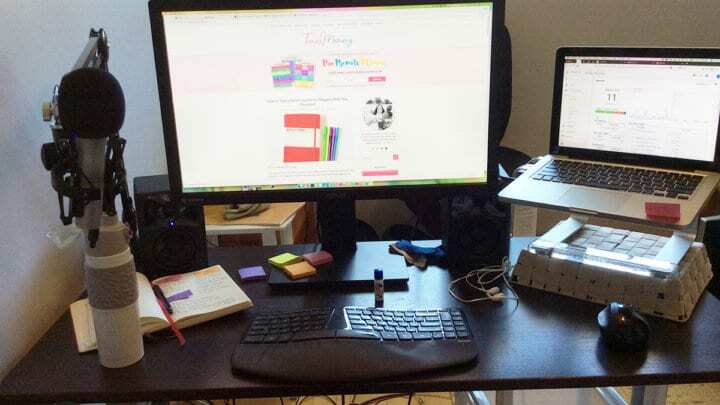 For example, my post on home office supplies shows my office with the Amazon affiliate products I’m promoting! When you start promoting products you’re not familiar with you can use the recommendation of Amazon and their best sellers. Another thing you can do is, once you get sales you can see what your customers bought. For example, you might notice that you are promoting some lip palette, but people are buying this one perfume. Why not create a post on that perfume? You might drive even more sales by using this tactic. Finally, a way to promote your links is with a gift guide. 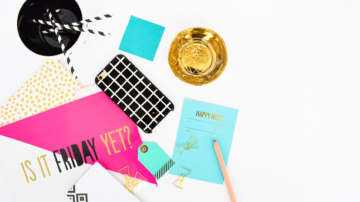 When the holiday season is near, start doing gift guides related to your blog niche. 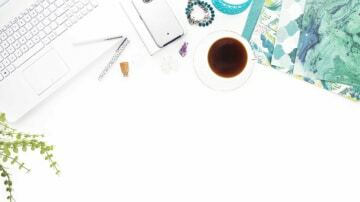 For example – the best coffee mugs for mom bloggers, my top bullet journals for the busy mom, the best bottle warmers for pumping moms, etc..
For more help, check out my post on how to create an income generating blog post. Amazon allows you to use their images on your blog post. I tried this on one of my gift guides, and it didn’t convert well. I find showing the image and then linking to it in my post converts well AND just linking to the product! The best ways to promote your affiliate links is in blog posts. And the best way to promote your blog post is on social media and in your email list. If you need more help with other ways to promote your links, check out my free guide! One thing to remember about using email to market your affiliate links – many email service providers discourages using affiliate links in email. This is very markety, and it can decrease your inbox and open rates over time. Instead, why not just share a valuable email around the topic of your affiliate post and then link to that post? For example, I can create an email for moms on the struggle I had with bottle warmers and the hacks that worked and didn’t work for me. Then I can share my post on the best bottle warmers to try! The easy way to get started on making your first dollar with your blog! It does take time and consistency to grow your income. One way that I found works time and time again is increasing your blog traffic. As soon as Smart Mom Ideas hit 25k pageviews I was making sales. And once it hit 50k pageviews I was making daily affiliate sales. I don’t want to discourage you and say that if you have less than 25k pagewiews you can’t make an affiliate sale. I was making money on Twins Mommy with only 17k pageviews. You totally can make money blogging mamas! If you have a blog post of a product that you know your audience wants more information on, then you can convert them easily! And remember – don’t feel “bad” about creating these affiliate types of blog posts. We invested in our blog, and it’s okay to help your audience by showing them the best products around. I only add this since when I first started blogging, I did NOT want to do affiliate marketing. To me, it looked too markety and “fake.” But, it took me a very long time to realize that you can share awesome products to your audience and if you built a solid tribe, they will trust you enough to click on your links and buy from you! 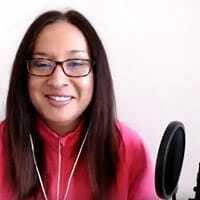 Over to you – tell me your story of getting started with affiliate marketing! You’re best and safest bet is to go with WordPress.org with either Siteground or Bluehost. So you have to first start your blog with Siteground or Bluehost and from their they will direct you to start your blog on WordPress. Bluehost does this automatically for you! Very informative post. Thank you so much! You’re welcome. 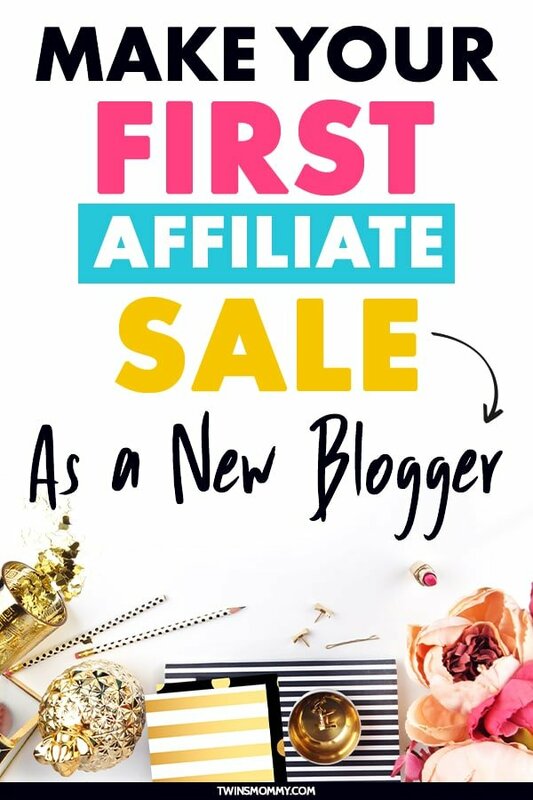 Glad you found some help with the first steps to make your first affiliate sale! Hello! What is mobile app URL. I was trying to register for amazon affiliate and I am stuck there. I don’t know what it is and there isn’t much info on the internet. Is it possible for anyone to let me know how to find it? I use my desktop computer not my mobile to work at home. Just type in Amazon affiliate or ambassador program! Very informative post. I got a 404 error when I tried to signup for “Promoting Affiliates”. I’m not sure why you got that messaged. I just tried signing up with a new email address and it worked for me! Maybe try again with a new email address? This post is amazing 😉. I’ll definitely try affiliate links. My blog lacks traffic at the moment but I know it’s not gonna be forever. Thanks for sharing! Thanks so much! So happy you found some tips to start your Amazon affiliate marketing strategy! Wow what an awesome post Elna. I needed these tips so bad.I did not understand how to set last click in Amazon. I am going to implement your other tips. You’re welcome! So glad this post about Amazon affiliate marketing hacks helped you out! This was so helpful! Ive been struggling with affiliate sales. I watched when you were live on Facebook and it was very helpful, thank you! Thanks so much! Yes, making Amazon affiliate sales was a challenge for me too. It took me many months to get to consistent and daily sales! Just keep at it and give it time! Another great post Elna. I do use affiliate marketing on my blog, but haven’t quite gotten around to the roundup or gift guide posts. This blog of mine is only a few months old so it’s a working progress. I’ve been blogging for years and my other blogs were mostly “how to” type posts to help my following build their businesses. I’m taking a different approach on my newest blog, so those “roundups” and “gift guides” will be a perfect fit for my blog. That’s great to hear! Yes, I’ve never done gift guides until this year I believe. It’s awesome and I’m adopting these strategies for my other blogs! Thanks for stopping by! Great post!! Thanks so much. It was very informative! Super helpful post! I am an old blogger but am only just starting to work with affiliate links. I appreciate the tips!